The Samsung Galaxy Note 4 still has a passionate fan following, and its camera is still a very effective shooter. For all those Galaxy Note 4 owners who still still believe it's top dog, here are some of our best Galaxy Note 4 camera tips. Why more people don’t use this setting is beyond me. Because it’s tricky to reach the camera button while holding the phone at arm’s length, Samsung included this simple trick to help. Just press your finger on the heart-rate monitor to take a picture while the camera is in selfie or wide-selfie mode. Simple. There are some settings in the Note 4's camera menu that aren't enabled by default, but you really should be using them. In the camera app, hit the cog icon and then the three dots button to gain access to some more advanced settings. Tap Grid lines to overlay a grid to help keep your pictures straight and in perspective. Enable Review pictures when you’re trying to get one perfect shot. It means you don’t have to browse through your last 10 pictures to find the best one, you can just decide on the good and bad shots as soon as you take them. The Galaxy Note 4 camera can be operated just by using your voice. Say "Cheese", "Smile", "Capture" or "Shoot" to take a picture, or "Record video" to start recording a video. Cool, eh? Selective focus can almost fake a DSLR camera effect by blurring background or foreground images. It’s just an effect so it's not perfect, but it can create some striking pictures. In the Note 4 camera app, tap Mode and then Selective focus. Hold the phone steady (that bit's important) and take a picture. You can select then whether the foreground or background is the focus. Want to be able to quickly make GIFs? Or how about use a mode specifically designed for sport? There are tons of extra modes for the Samsung camera, which can be downloaded from within the camera app. Go to Mode > Download and browse through the options – many of them are free too. 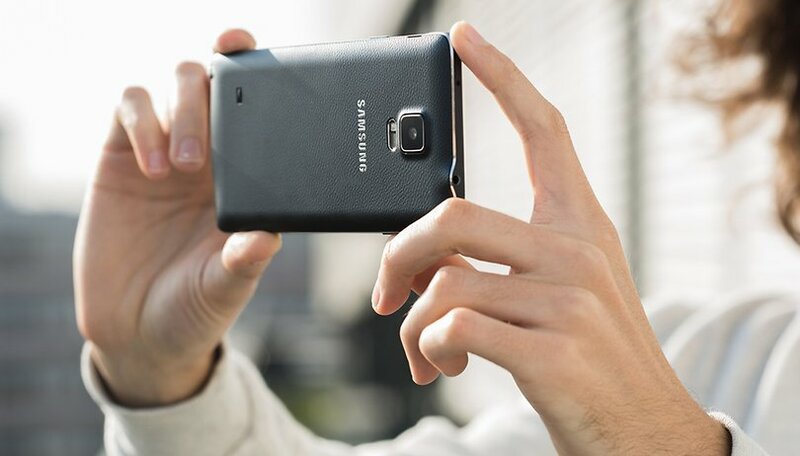 That’s our Galaxy Note 4 camera tips, what are yours? Let us know in the comments below. Actually this was really helpful! A short sweet list of ways to make your camera more effective and short description about how to get it done. Long enough to give us exactly the information I was looking for but short enough to keep my attention. Perfect. Thank you so much. An ad, for a year old phone. Granted the Note 4 is still a worthy handset in 2015 (see opinion article, also posted here a few days ago), but not really a useful article. At least mention alternate camera apps compatible with it - I use Snap Camera HDR. You have lost your charm. I used to follow android pit just to read your articles. Have a vacation and refill your inspiration meters. Gsmarena is taking on you guys really fast. Give less emphasis on adds and do write more good articles. Bring some new stuff to give in atleast 4 or 5 articles a day. Else you are way too knowledgeable than me. Can't guide you. I just need to say this to get you back on track.